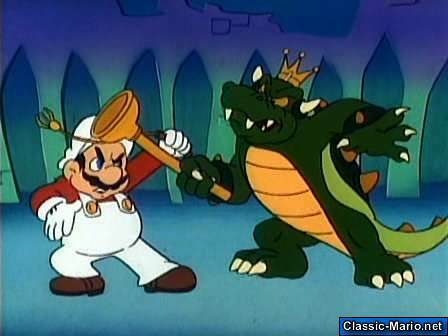 A wild west themed cartoon episode finds Toad, Mario, and Luigi trekking within the western frontier with a 10,000 gold piece bounty upon their heads… a price such that the animate cactus featuring the sign wants to turn against them! 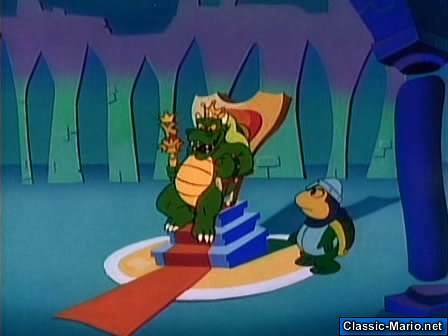 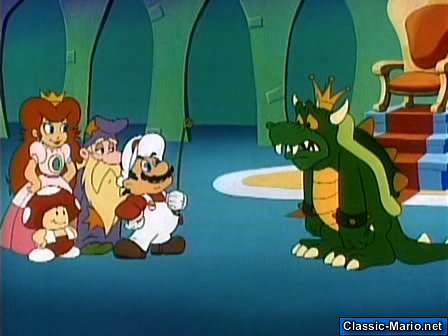 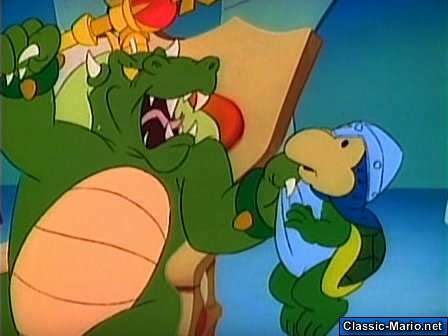 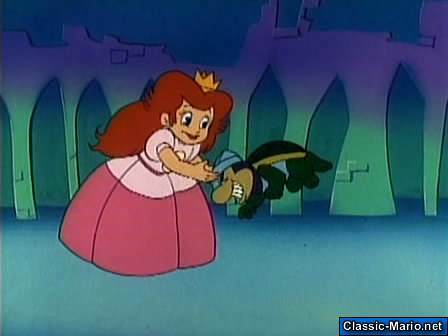 Koopa desires the brothers to be captured so that the Princess is “crawling at his feet.” He has her trapped and starves her in hopes for a surrender yet her folded arms seem to mean business mixed with no such groveling. 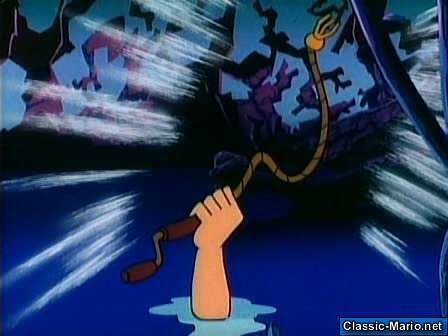 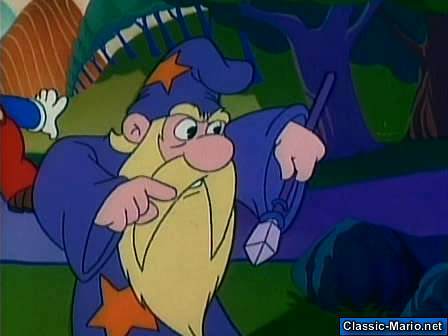 Sherriff Mouser is awaiting them yet the trio troupe of outlaws run until they meet a log filled waterfall. 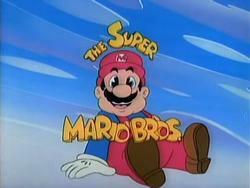 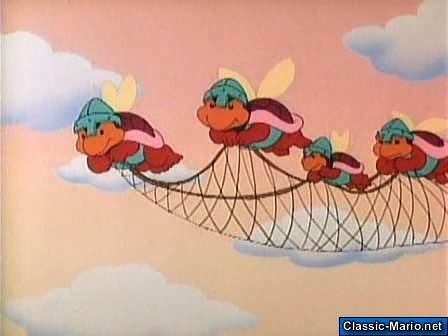 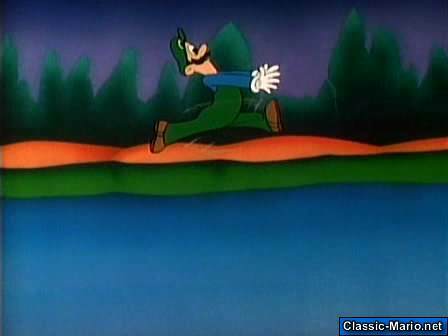 Mario Leaps across followed by Toad and Luigi. 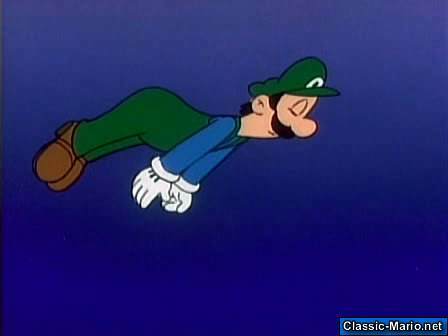 Luigi is thus far depicted as most reluctant yet succeeds within the task. 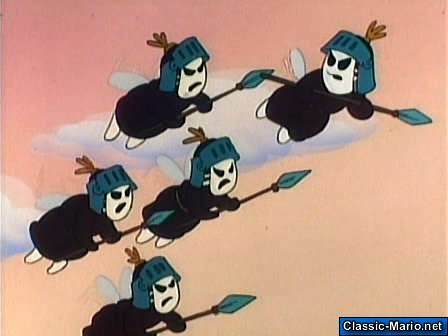 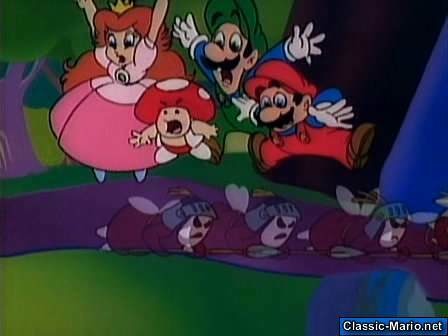 The shyguy posse is not so lucky… they plummet down the falls. 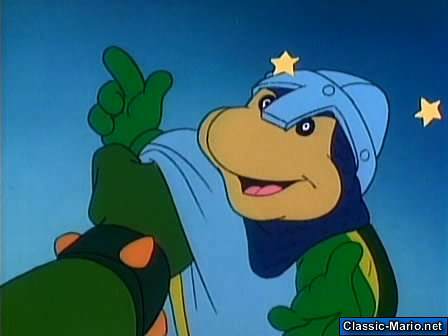 The Sherriff goes back to Koopa and informs him of the loss. 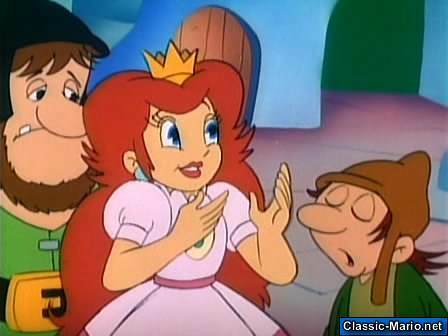 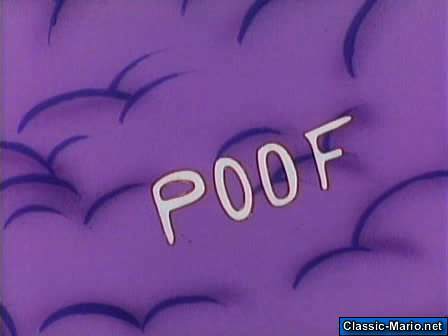 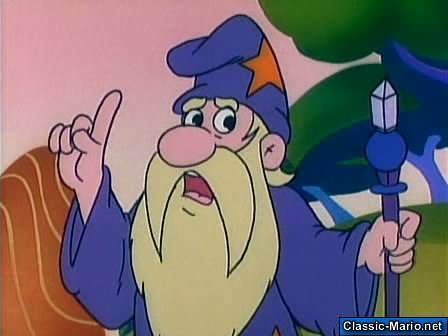 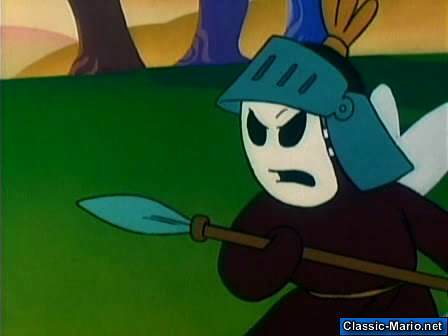 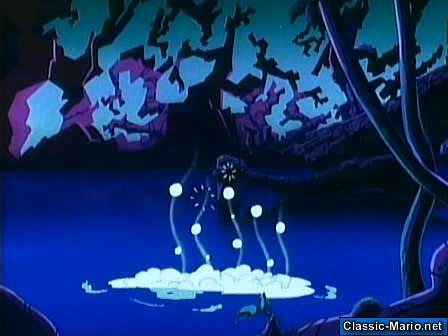 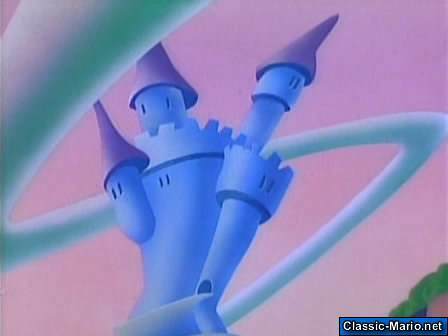 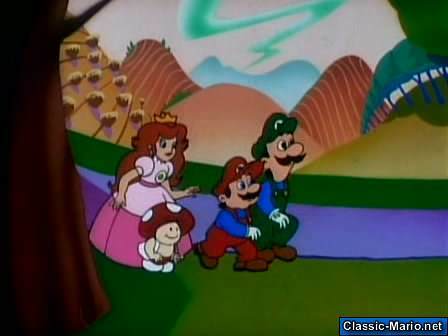 The bounty then goes up to 30,000 gold pieces and the brothers view a smoke signal from who appears to be princess toadstool. 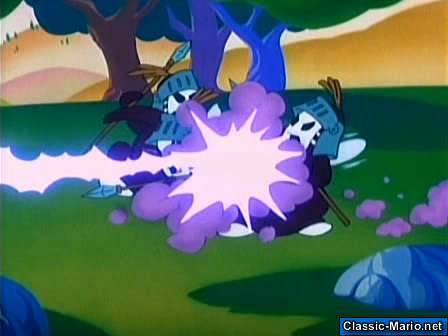 It is instead a setup and the brothers are able to distinguish that fact in enough time to run from the scene. 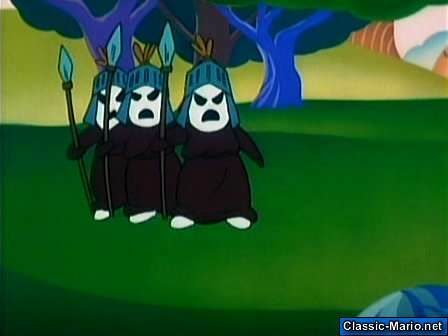 They are chased down by a rolling rock similar to Indiana Jones and the Raiders of The Lost Ark and escape when they are distracted by a food shop. 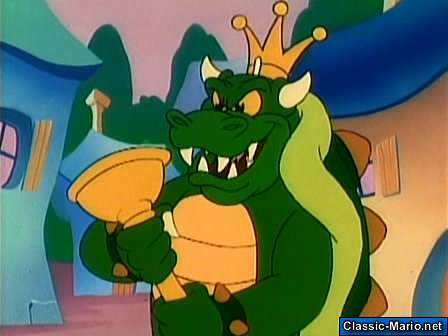 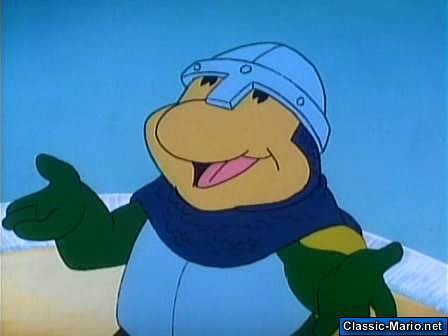 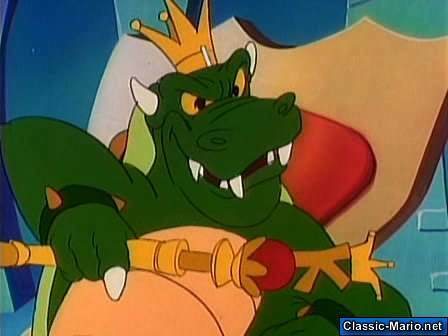 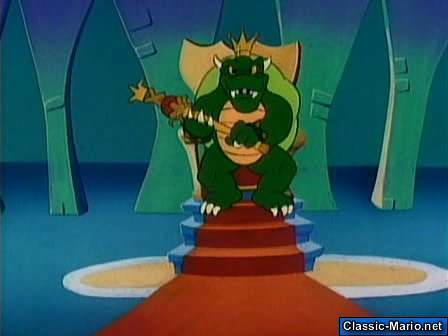 King Koopa seems to know them well as he awaits them within the shop and they soon seem captured without hope within a small cell. 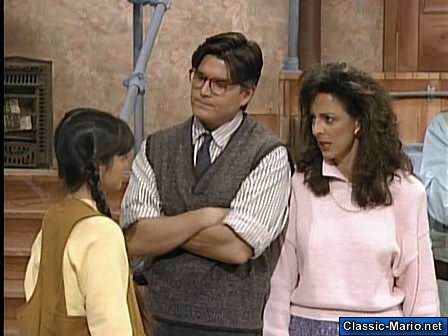 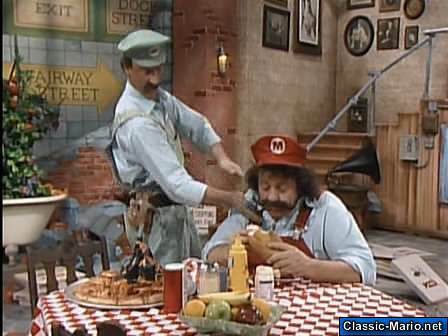 Mario remains hopeful and concocts a plan. 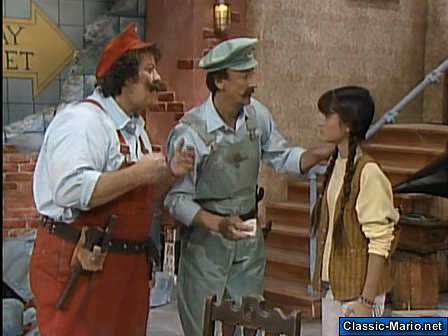 “Tough tortellini” is uttered by the sheriff rodentia and toad sneaks within his hat which is momentarily knocked from his head. 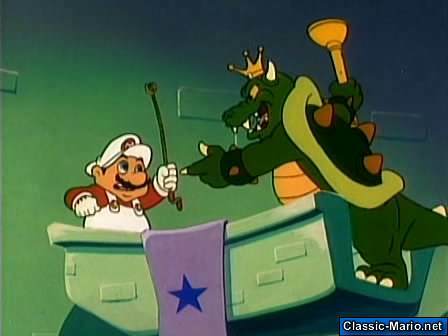 Clever Toad and his trickery! 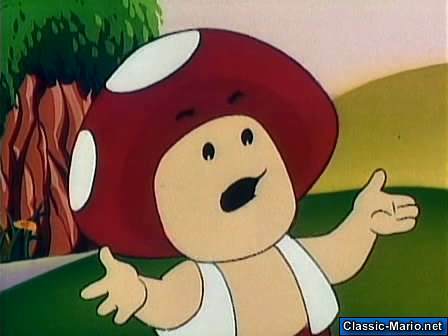 When Toad winds up in a saloon he views bombs and steels them for the break. 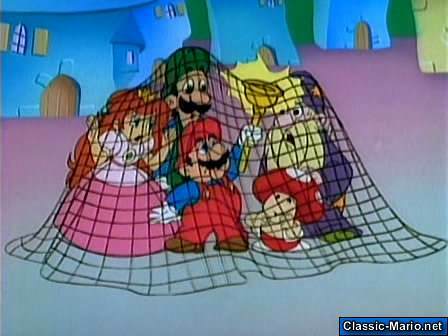 Toad affectively breaks the bros. from behind bars with bob-ombs not taking into account the health status of the pasta loving brothers. 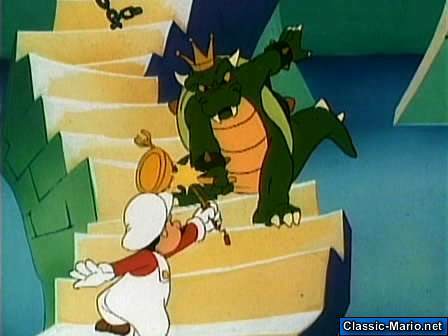 They go back to the mine and conveniently use bomb plants to get inside of a blocked off brick wall. 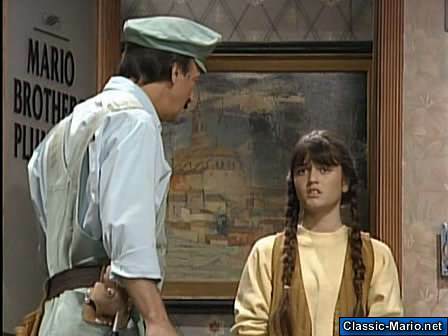 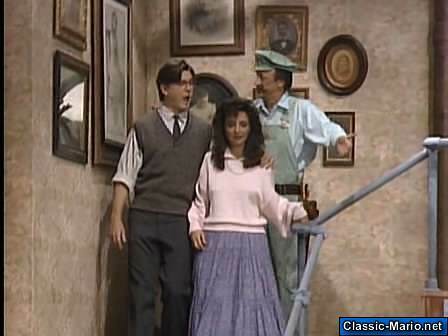 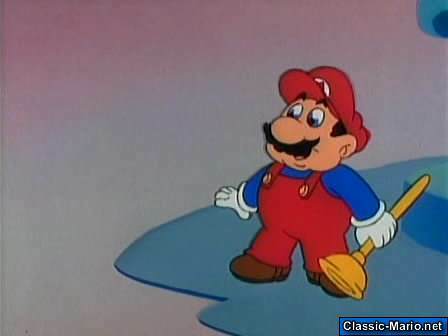 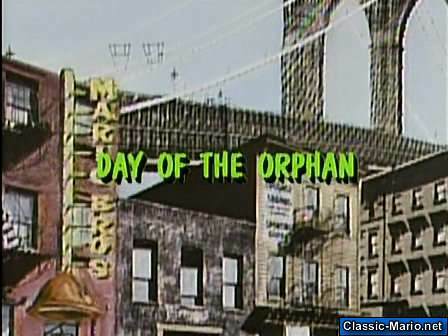 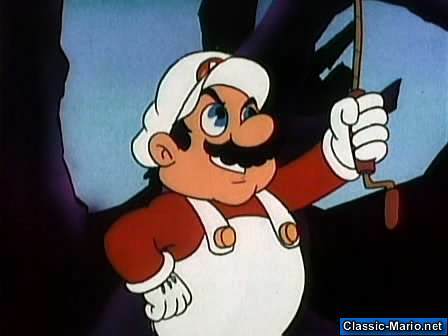 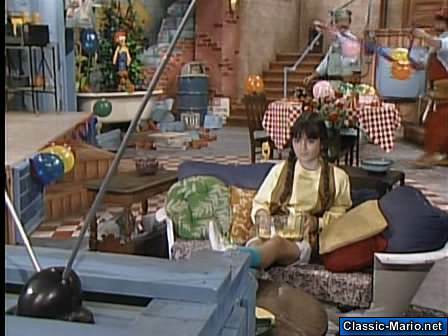 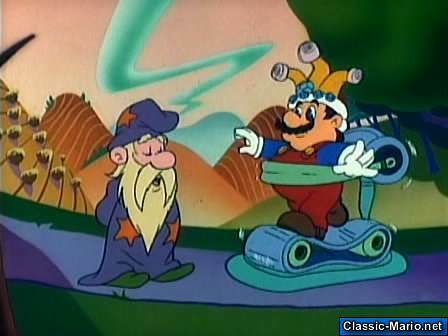 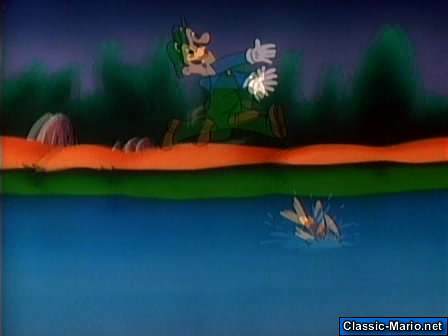 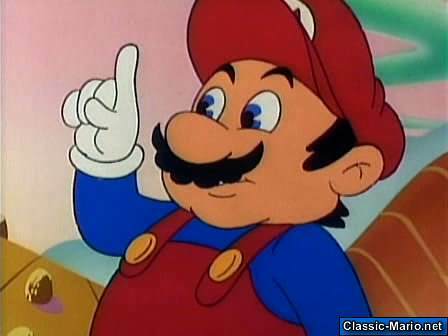 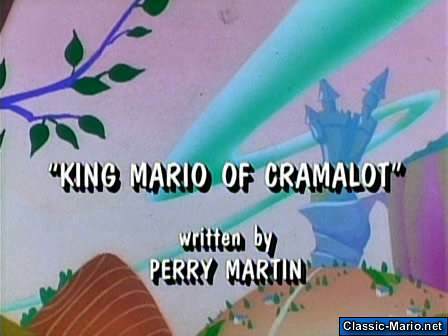 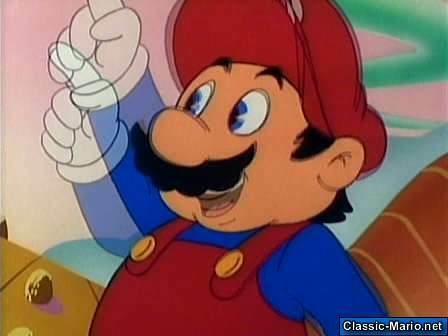 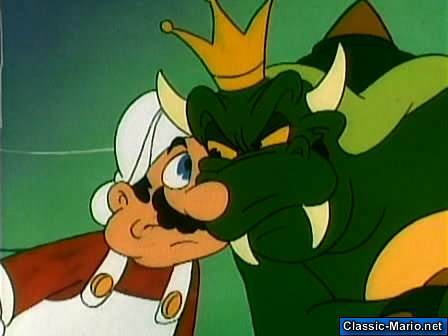 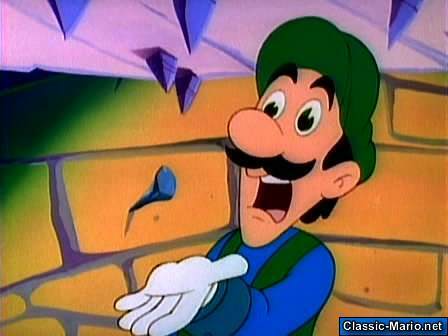 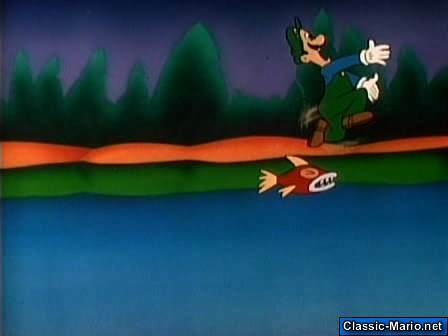 Dimwitted depicted Luigi stands too close to the wall and is revealed to be Mario’s little brother. 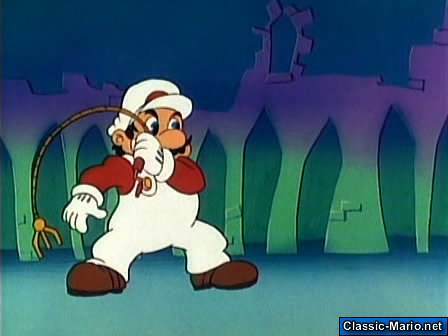 “Linguini lips” is uttered. 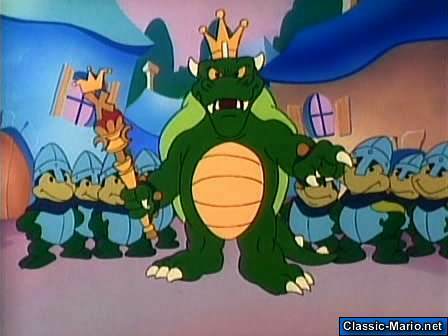 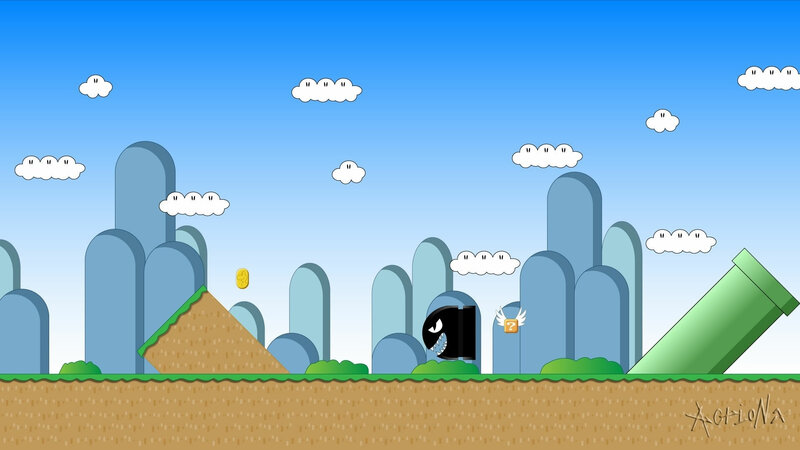 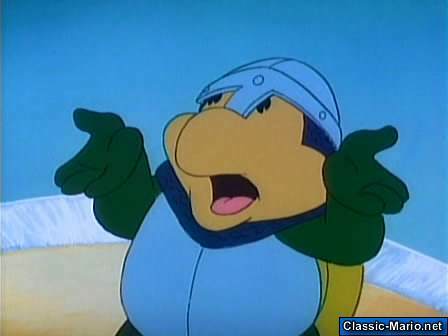 Mario brandishes a gun and Koopa and all of his men cower away. 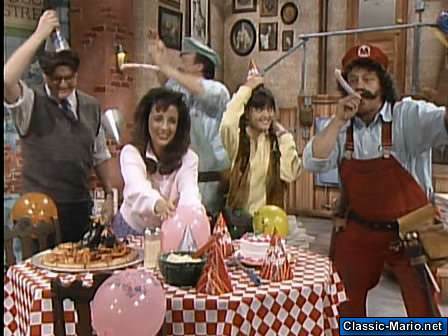 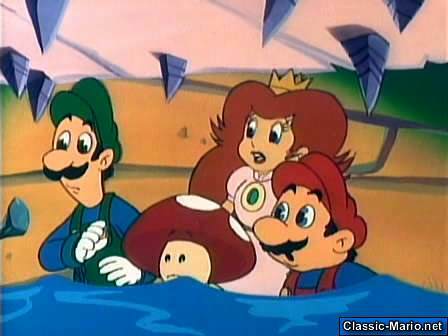 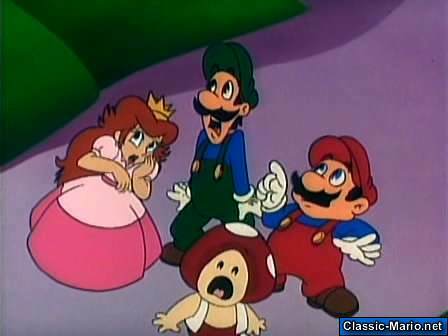 The brother men, the Toad and the Princess are united within a hole and Mario takes out a tool, nozzles are turned and the bad guys are flushed out of the scenario. 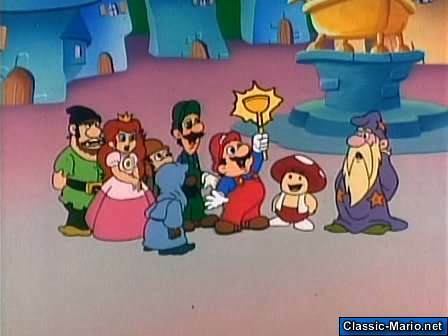 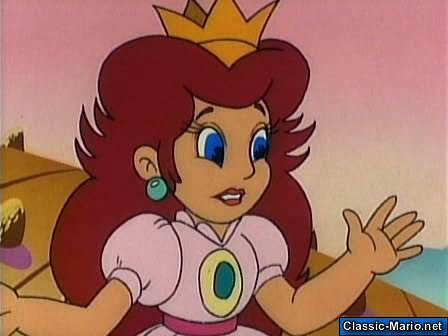 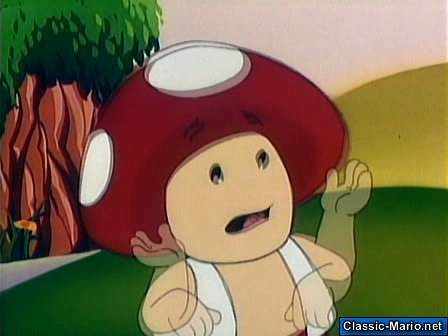 When Princess toadstool wants to repay Mario he asks for seven dishes of food the last of which is garlic ice-cream! 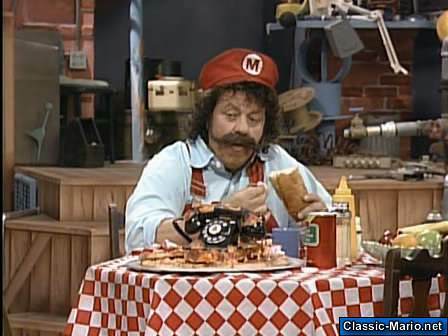 This guy has some eating issues? 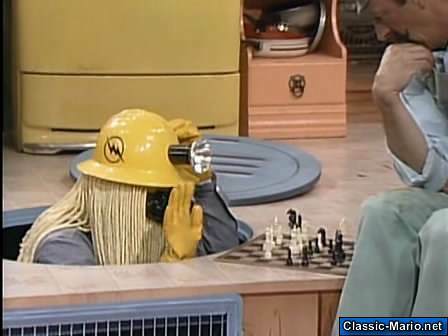 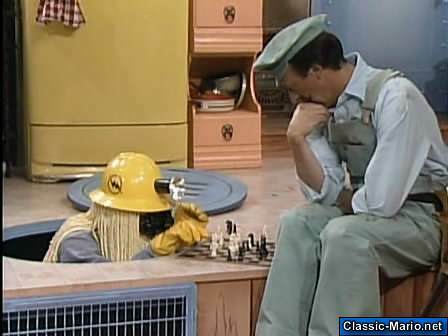 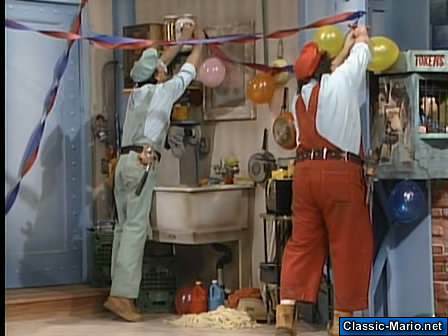 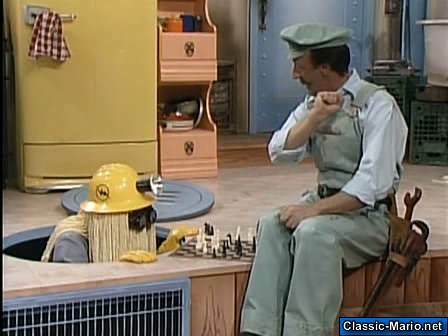 Professional wrestler of the era Seargant Slaughter’s steamOmatic machine is being worked upon initially by the seemingly inept plumbers and the brothers have confusion as to what exactly they are doing.